← Kidsbook Clip: And The Winners Are . . . In honor of Earth Day this month, I thought I’d put together a list of some of our favorite Earth Day books. While none of them is specifically about Earth Day itself, each reflects a respect for, appreciation of, and/or connectedness to our beautiful planet its creatures. To me, those are messages worth sharing with our children every day of the year.To read my full review of each title, please click the links below. What will you be reading this Earth Day? 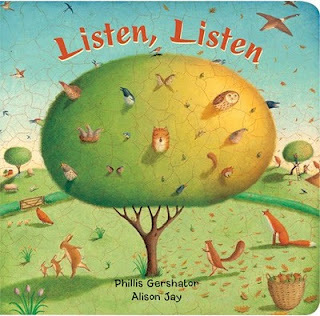 Listen, Listen by Phyllis Gershator: A lovely book about the sights and sounds of the changing seasons. Great for babies and preschoolers, alike. 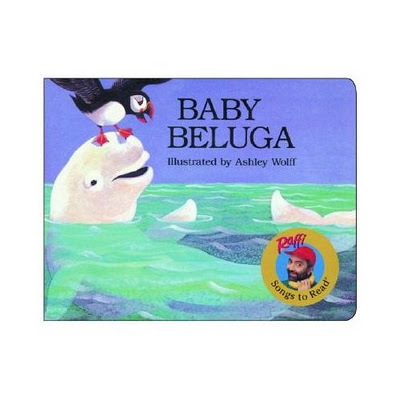 Baby Beluga by Raffi, illustrated by Ashley Wolff: A perfect book to share and sing with even the very youngest of readers. 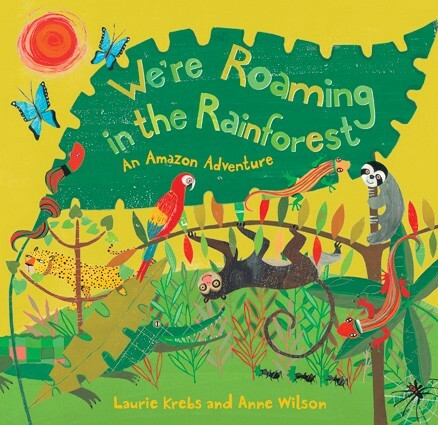 We’re Roaming in the Rainforest by Laurie Krebs and Anne Wilson: A wonderful tribute to one of our planet’s most magical places: The Amazon Rainforest. 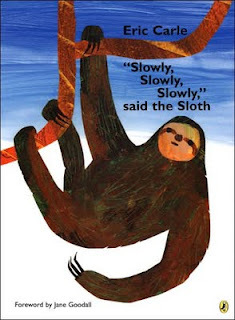 Slowly, Slowly, Slowly Said the Sloth by Eric Carle: Another fabulous rainforest book, complete with an informational foreword by the one and only Jane Goodall. 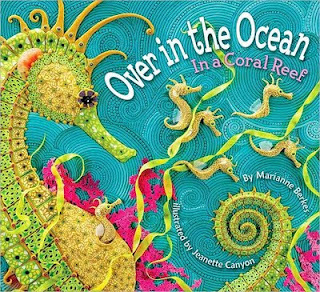 Over in the Ocean: In a Coral Reef by Maryanne Berkes: Join parrotfish, stingrays, seahorses, and more on an amazing journey through a coral reef. 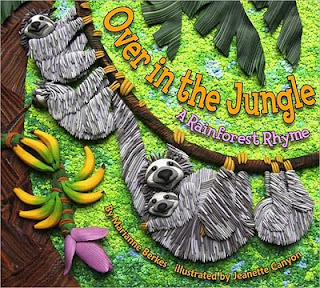 Set to the same tune as Over in the Jungle (and equally as awesome), this is a long-time favorite in our house. 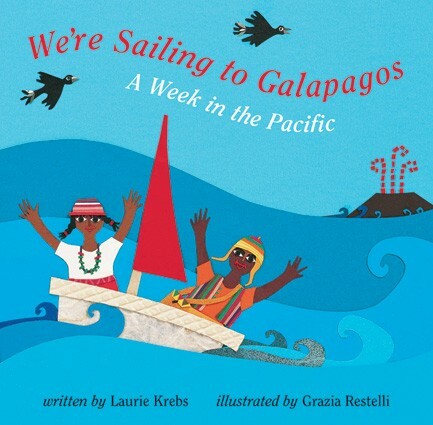 We’re Sailing to Galapagos by Laurie Krebs: This fabulous story is bursting with fun information about this unique part of the world and the creatures who live there. Restelli’s collage artwork is bold, colorful, and wonderfully intricate, and is the perfect accompaniment to Krebs’ rollicking story. A favorite in our house. Our Featured Friend later this week will be similar to those featured by Lauren. Can’t wait to introduce you to one of our family’s favorite books. Don’t miss it! 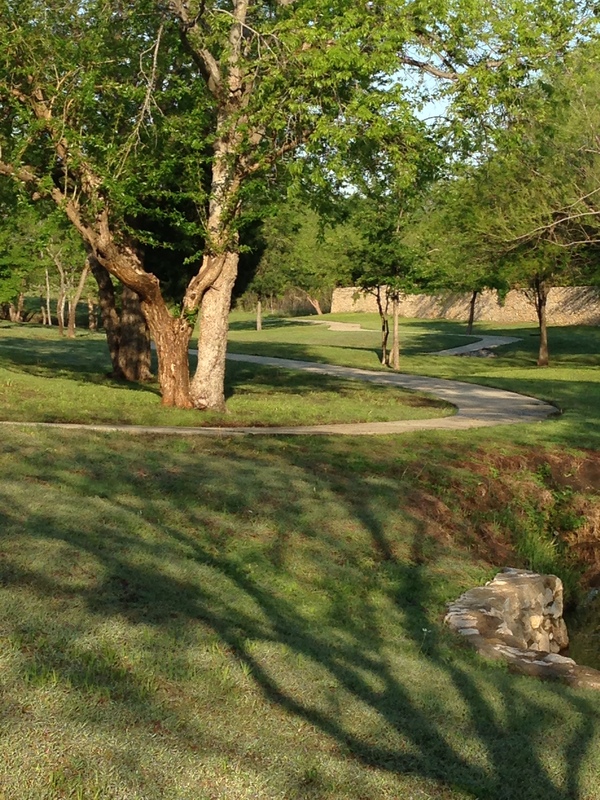 Thank you Lauren for sharing your blog post with us. What an amazing book list with descriptions! Like Us On Facebook at Kidsbook Friends and “Follow this Blog via e-mail” at http://www.kidsbookfriends.com today! We are looking forward to having you on the journey of creativity with us we discover good kids books and activities for kids ages t0ddler to ten. This entry was posted in Earth Day, Guest Bloggers and tagged 365greatchildrensbooks.blogspot.com, Earth Day, Lauren Nassiff. Bookmark the permalink.